Scott Morrison needs to pull a policy rabbit out of a hat and he needs to do it quickly. At best, he has eight months to convince a sceptical public the Coalition can be trusted to run the country. But fortunately for the new PM, there is a bunny in plain sight. 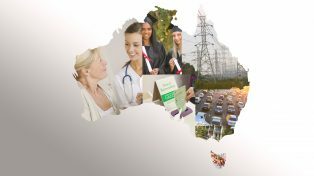 Policies to improve our political institutions are popular with the public, cost next to nothing and would enhance the quality of Australian government. The most prominent change Morrison should make is to promise a federal anti-corruption or integrity body. There is currently no body to investigate complaints of misconduct or corruption by federal parliamentarians. Similar bodies at state level have proved more effective at flushing out corrupt conduct by parliamentarians and public servants than many anticipated. It would be naive to assume that corruption is less prevalent or serious at the federal level than in state governments. Around two-thirds of Australians support such a body. So does the Australian Labor Party. There are design issues to work through, but bipartisan agreement on this formerly contentious issue would signal Morrison is serious about improving behaviour of parliamentarians. Australia’s political donations regime is also ripe for reform. Around 40 per cent of the income received by political parties comes from undisclosed sources. High thresholds for disclosing donations, the absence of a requirement for parties to aggregate donations below the threshold, murky accounting rules around income from fundraising dinners, and long lags before donations are disclosed all undermine transparency. And what we do know about the money in the system suggests undue influence is a real concern. Grattan Institute research shows that just 5 per cent of donors contributed more than half of declared donations, giving a small handful of donors a lot of power over the finances of our political parties. Declared donations disproportionately come from highly regulated business, and there are many examples of donors giving generously when their industry is in the regulatory cross-hairs and then fading away once the debate has moved on. This suggests that the donors believe, perhaps rightly, that money matters in our politics. Capping advertising expenditure by political parties and third parties during election campaigns would reduce the ”arms race” between parties and their reliance on major donors. We shouldn’t assume we will need more public funding to bridge the gap between current spending and a new cap. Australia spends considerably more on political advertising during campaigns than the UK, Canada and New Zealand. Our lobbying regulations are also incredibly weak by international standards. Voters know next to nothing about who federal ministers meet with. 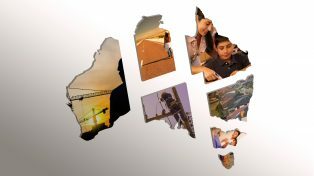 The NSW and Queensland governments publish ministerial diaries, giving us some insight into what political consultation looks like. Grattan’s analysis of these diaries shows that business gets the lion’s share of meetings with senior ministers, particularly heavily regulated businesses that have a lot to gain or lose from government decisions. Major donors have a pretty good strike rate at getting a meeting with state ministers, too. Federal ministers should likewise be required to publish their diaries. If there’s nothing to hide, then the public would be reassured that their elected representatives are consulting widely, and if they aren’t, it places a pretty strong incentive on them to do better. 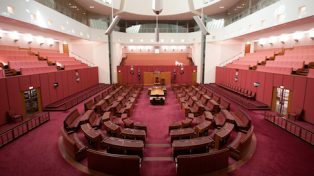 The federal lobbyist register – supposed to give voters a window into the lobbying of our parliamentarians – needs to be substantially expanded. Currently only staff at lobbying firms are required to register. This excludes many other lobbyists such as those at unions, within businesses, peak bodies like the Business Council of Australia, in-house lobbyists and advocacy groups like GetUp! 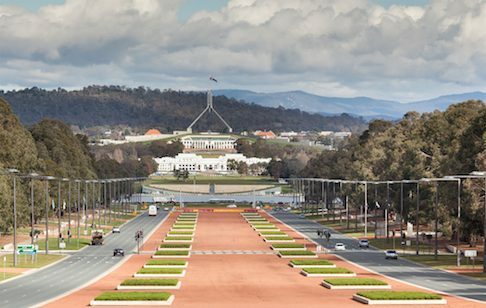 Expanding the register to include those with unescorted (orange) passes to federal Parliament House would capture everyone with “significant and regular business access” to politicians. Current restrictions on ministers moving from politics into lobbying roles need to be better enforced. Ministers are supposed to wait 18 months after leaving office before lobbying in their portfolio area. But even where ministers appear to have breached the code, there has been no sanction. And even if a breach was established, the only penalty available under the code is removal from the lobbyist register. The lobbyist code should be independently administered and there should be graduated sanctions including fines and loss of the orange pass to reflect the severity of any breach. Weaknesses in our political institutions leave our politicians at risk of capture by special interest groups. If Scott Morrison is serious about “a fair go for those who have a go”, then reforming our political institutions is a good place to start. It might even be the vote-winning rabbit he’s looking for.